When I was informed that I had to use a week of vacation in February, I used the opportunity to explore one of my passions, making craft beer. 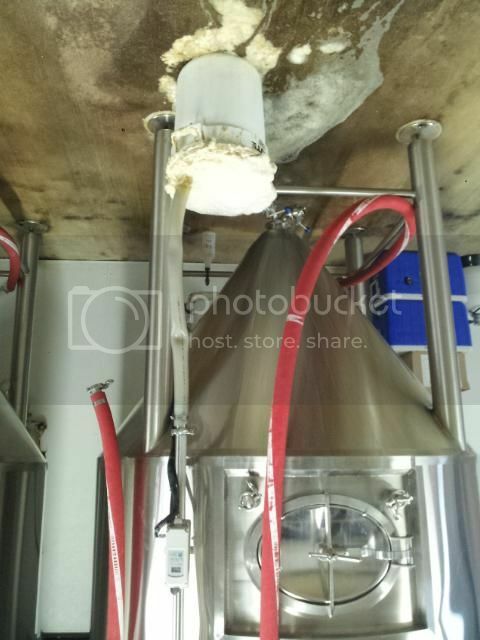 As a homebrewer, I have a limited scope of how beer is made, and only on a five-gallon scale. When I learned that the Peticolas Brewing Company relied some on the help of local volunteers, I knew what I wanted to do with my newly found freedom. Having visited the brewery months before, I had talked previously with the owner, Michael Peticolas, about helping around the brewery. Once the time off was scheduled, I immediately emailed Michael, and he happily accommodated my request. 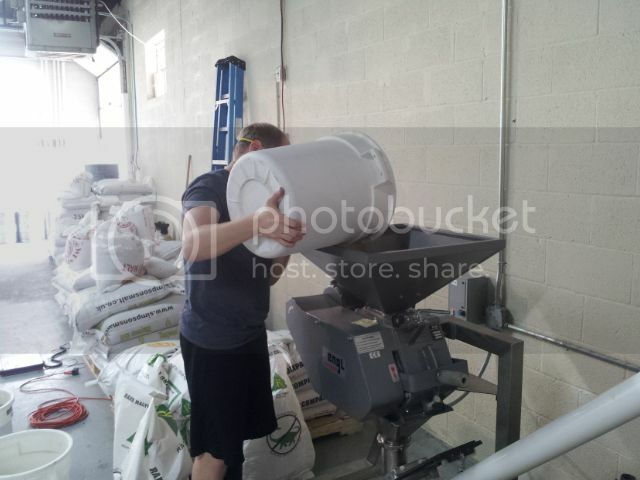 So here below is a summary of my week volunteering at the Peticolas Brewing Company. Most jobs don’t have you diving in head first on your first day, especially if you haven’t worked much in the industry before. From the moment I stepped through the door, Michael put me to work. I was doing everything from milling grains for an upcoming double-batch of Velvet Hammer (Imperial Red Ale; Voted Dallas’ 2012 Best Beer), to helping keg and store the limited released Great Scot (Scottish Ale). 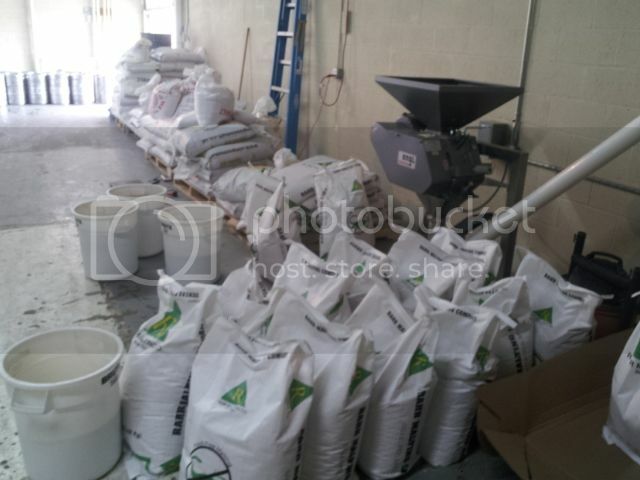 Coming from making five-gallon batches, seeing everything on a much larger scale was mesmerizing. One immediate lesson learned was the high importance of cleanliness. To quote assistant brewer Chris ‘Burnleg’ Martinez, “Brewing is 90% cleaning.” Everything goes through clean, rinse, and sanitize stations, which also makes for an immediately wet situation. Brewing attire is essentially a good pair of rubber boots. 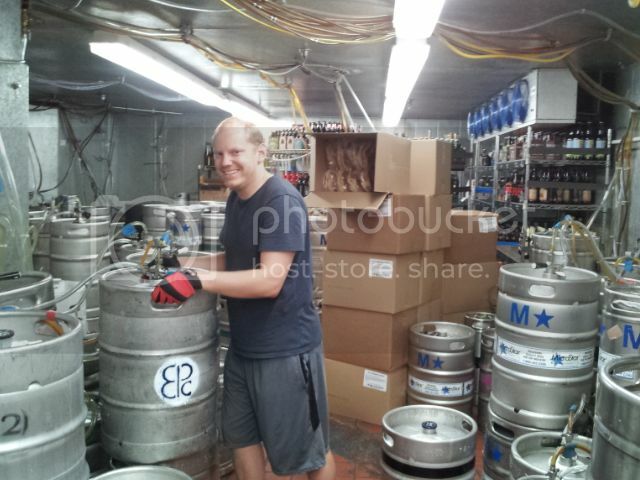 Michael relies on the help of volunteers who share the same passion for beer as he does. I had a great time learning how to apply these large scale techniques on my own homebrewing from the brewers and other volunteers. It’s a great thing to see people passionate about their hobby and willing to give their spare time in helping a local company in the process. Another perk of working in a brewery is ‘sampling’ various beers throughout the day. It does not get any fresher than enjoying a beer that was only kegged hours ago. I was also able to get a sneak peek of their new tasting room next that is still underway next door. So after a long day of hard work, my reward is to come back early in the morning to start a grueling day of brewing a double-batch of Velvet Hammer. Day 2 started off bright and early at 6:00 am, so we could get started right away. While I measured out grain for the second batch to be brewed later that day, Michael prepared mash tun to receive the grain milled from the previous day. As the milled grain began to mix with the hot water, the brewery began to fill with a sweet malty aroma that brewers have grown to love. 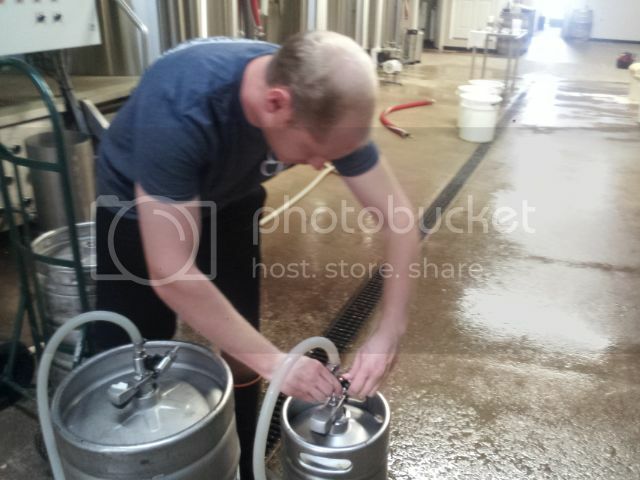 While Michael and other volunteers carried out the rest of the brewing process, I was sent with the other assistant brewmaster, Chris 'Face' Geracie, to make deliveries all over the Dallas area. Who knew lifting kegs would be such a good workout? 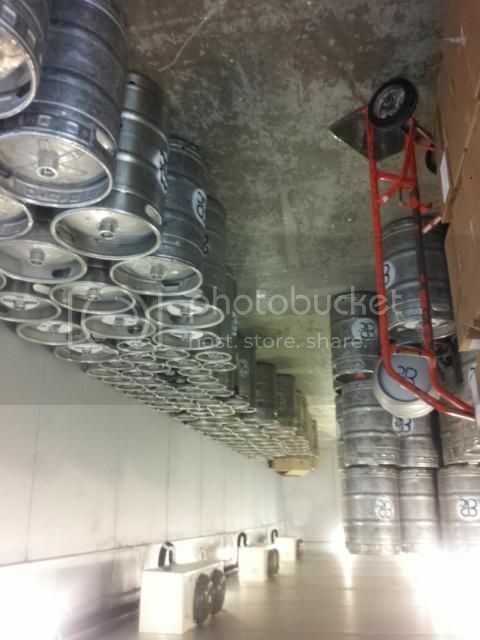 After loading and unloading several kegs, I came to realize that you can tell when someone makes a great product when retailers are well versed in the industry and are happy to sell more of your product. After a long day of deliveries, we came back to a still sweet smelling brewery with everyone cleaning away the last bits of the day’s mess down the drain. Our reward at the end of the day was splitting a bottle of Boulevard’s Long Strange Tripel Belgian Ale between brewers and volunteers alike. This furthers the camaraderie seen between brewers because they seek out and enjoy beers from breweries other than their own. Craft brewers don’t see each other as competitors, but as innovators creating better beer for everyone to enjoy. Wednesday started off with doing more cleaning work as I cleaned off the walk-in freezer, swept the dock, and scrubbed down the fermentation tanks. As said before, cleaning is very important in the brewing process. If bacteria or wild yeast strains get into your beer, they can quickly and easily ruin an entire batch of beer. A meeting this morning also revealed that Peticolas will be brewing a new beer sometime in the near future (but I will leave that up to Michael to reveal). Today was another day of making deliveries as well. Getting to see the ‘behind the scenes’ of many of the Dallas area’s top beer places, like Flying Saucer and Common Table, was a special treat to see how their operations were run from behind. When making deliveries, it is common to run into other beer distributors. These quick connections are an insight to the industry as stories are swapped about what is new in the market and what is happening at other breweries. And if you want any of the last bit of Peticolas’ winter seasonal beer, Wintervention, you’ll have to go to their tour because it won’t be back around until next season. I feel like I have come full circle now. 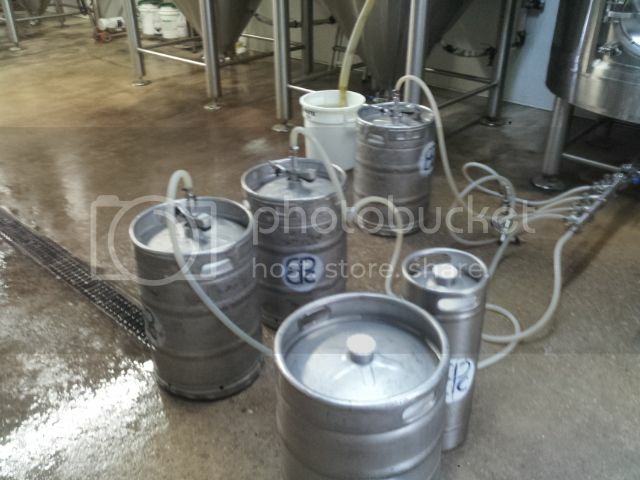 The first task on my first day was kegging, but I was only cleaning off the kegs before transporting them to storage. After kegging again today, I am now up to connecting and changing out the lines as the kegs fill. I think I’m starting to get the hang of all of this now. And as part of the theme of cleaning everything, I also learned to clean out bar tap lines and how to use the keg washing machine, which uses a combination of hot water and CO2 to remove any excess beer inside and rinse it clean, all in a few steps. 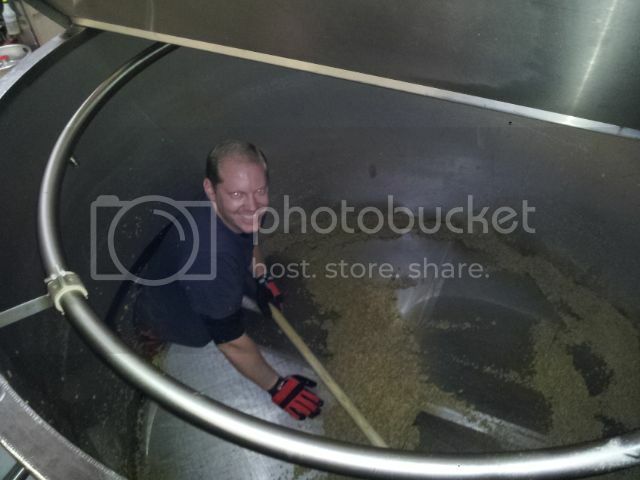 Tomorrow is another brew day and I have been promised to get down and dirty throughout the entire brewing process. I am very excited about this. Today was by far the best day of the week. 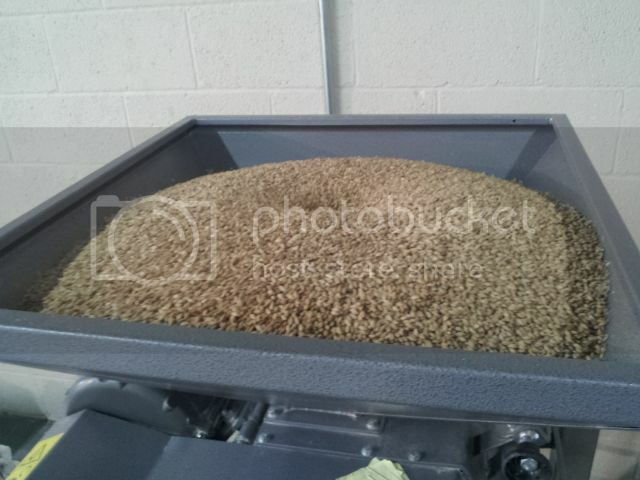 That morning, Michael had already placed the grain that was previously milled into the mash tun along with hot water, set at a proprietary temperature to extract certain enzymes and flavors from the grain. Once this is finished the grain soaked water, now called wort, it is drained and piped into the brew kettle. 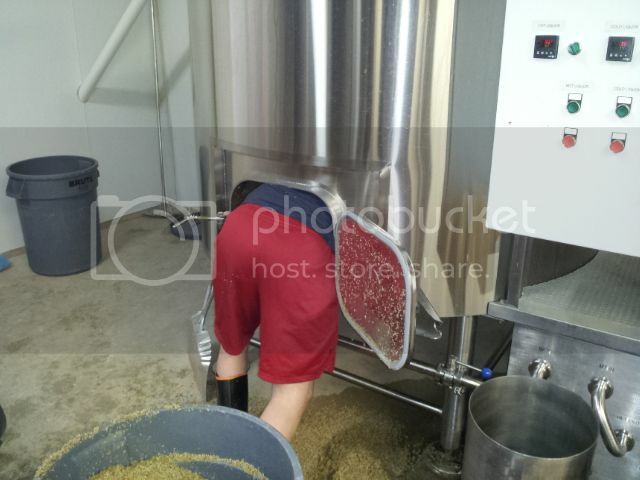 The most interesting part of the day involved nearly climbing inside a toasty mash tun to remove all of the spent grain and clean it. 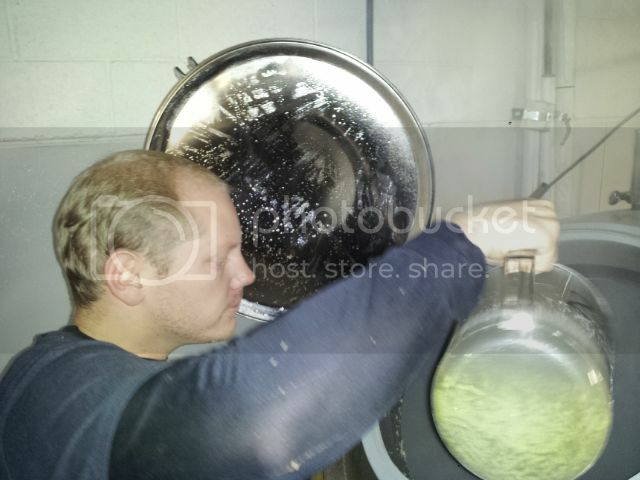 While in the brew kettle, the wort is boiled and hops are added at different times to create desired bitterness. 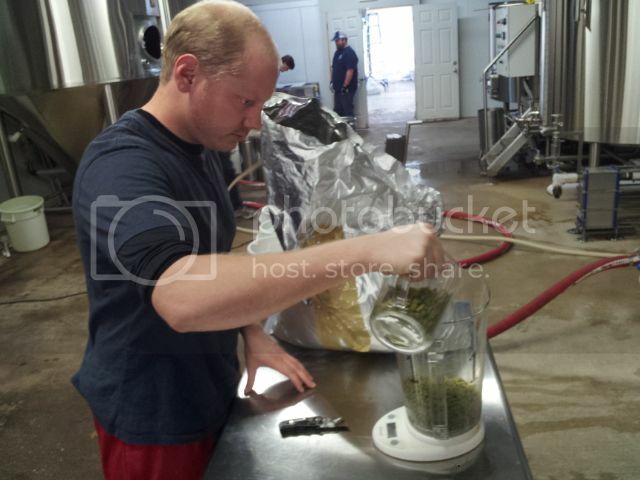 The earlier the hops are added, the more bitterness is extracted; the later they are added, the more aroma they attribute to the beer. After the desired bitterness is achieved, the wort is then piped into fermentation vessels, where the yeast will be added. The yeast eats the sugars from the grain and create alcohol and CO2 as a waste byproduct. While in the fermentation vessels, the CO2 is not needed, and is forced out of the vessel via blow-tube submerged in water. After weeks of fermenting, the beer is then force carbonated and kegged, ready for delivery. Throughout the entire process today, we enjoyed many delicious commercial beers as well as some homebrewed beer from one of the other volunteers. All in all, I had a great time this week, not only because I was able to enjoy great locally made craft beer, but because I was also able to enjoy it with some of the friendliest people. Their attention to detail and pride in their product, allow them to make great beer over and over again. 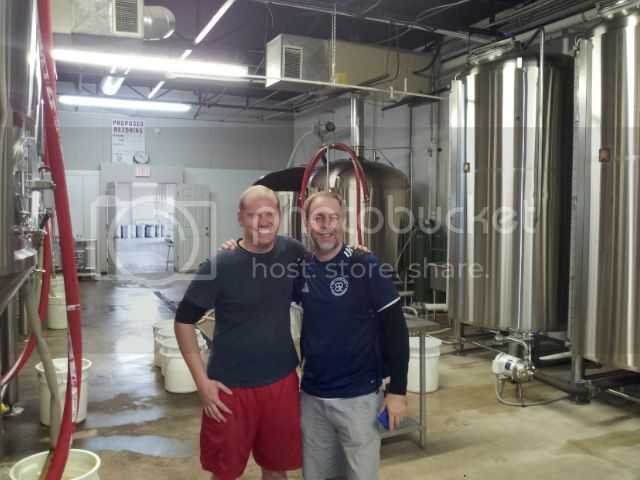 I am proud to share the same great city as the family owned, Peticolas Brewing Company. 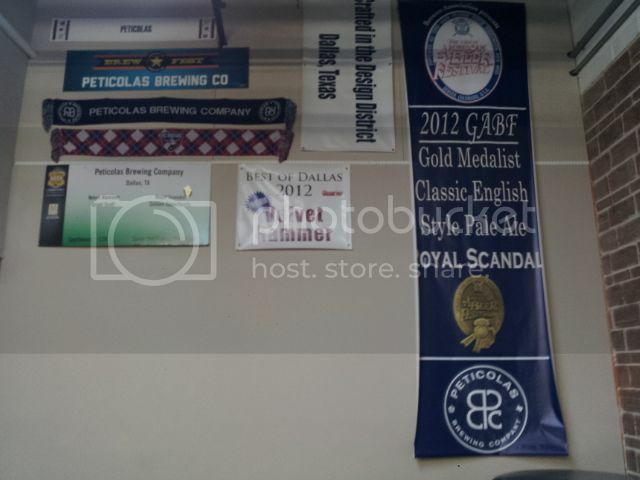 For more information on the Peticolas Brewing Company, visit their website at www.peticolasbrewing.com or stop by for a tour on the first and third Saturday of each month from 1:00 to 3:00 pm; $10 cash.